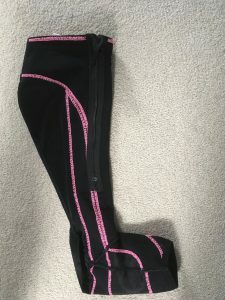 With both the Lycra stock and Sure Step splint ordinary shoes and trainers were becoming problematic to wear and causing quite dramatic blisters. 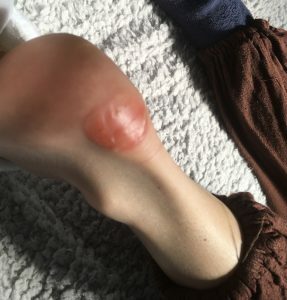 Blisters are quite normal when increasing an activity however, when you do not feel the initial rub you do not react which, prevents further damage. My blisters on the right foot were becoming quite dramatic, painless for me, but held a higher likelihood of infection. 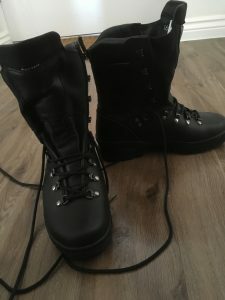 We were recommended a company based in Yorkshire called Alt-Berg who offer a custom boot fitting service for walking and hiking. 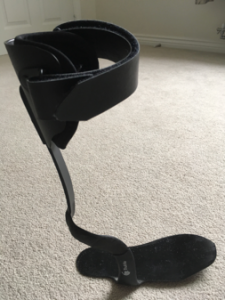 The staff are very knowledgeable and with experience in my type of orthotic as they also provide boots for military personnel adapting their designs for servicemen and women with specific needs. The boots are handmade and of very high quality with an incredibly reasonable price tag. 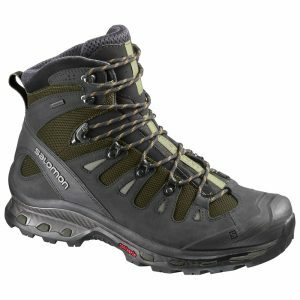 To the point that many walkers I’ve met are opting for these boots and service instead of top brand footwear. The only criticism is that in the three days of hot summer we had in England this year I got heat rash on my ankles under the boot. However, I can walk through puddles without getting wet feet now!